Yoga has a lot of benefits that I truly believe in. As a freshly minted yoga teacher, trust me when I say I believe in yoga enough to sink a couple thousand dollars into training to make me a better yogi and teacher. But there are also some downsides to practicing yoga that don’t get a lot of air time. If you want to know why I think you should practice yoga, click here for 13 reasons why. If you want to read about the dark side of yoga, by all means, continue on. Just as with any other physical activity (or anything, really), it can be easy to let your ego get in the way. 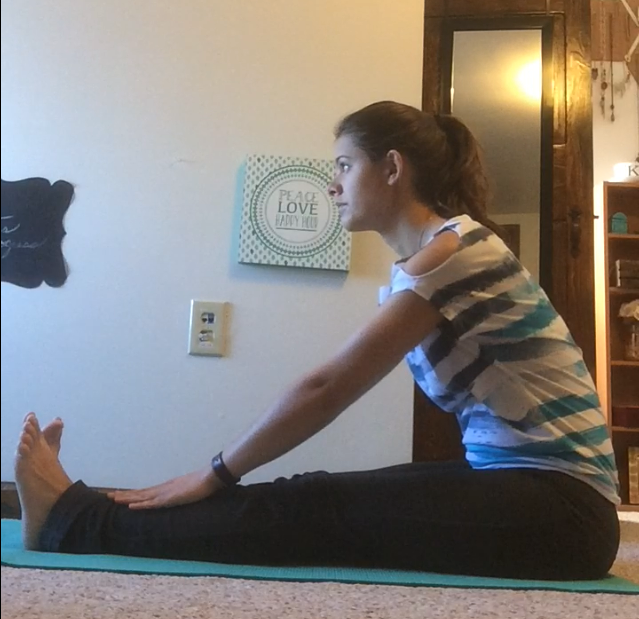 Whether because I had a natural knack for it, I pushed myself too fast, or my dad’s athletic genes finally decided to show up, I was able to do some of the more “advanced” yoga poses fairly quickly (side rant: what does “advanced” even mean? I have way more respect for someone who can get out of their head and hold warrior 1 than for me just falling on my face enough times I finally make it into crow pose for an Instagram photo 😉). It also could be attributed to the fact that I skipped right to an “intermediate” vinyasa class cause I had no idea what I was doing (I didn’t even know there were different kinds of classes — I just thought yoga was yoga). But for a while, it was great! I was popping up into arm balances, headstands (even got into a one hand headstand! … see there is that darn ego), and some fairly intense backbends. I was doing things I never even dreamed my body would be able to do. Then a year or so later, I fell playing soccer. I didn’t think much of it at first — had some beautiful turf burns on arm, but I didn’t actually hurt anything. The next day my arm started bothering me. I chalked it up to a bruise I couldn’t see yet or muscle tiredness (who knows). A year and a few months later with my arm still bothering me off and on, I’m forced to admit there was more going on than just what happened that one night at soccer. Rather, I think I probably was doing damage that just hadn’t manifested yet and my soccer tumble exposed it. Maybe it was tendonitis or the infamous “Chaturanga shoulder”, I’ll probably never know (it’s probably a little late to go to the doctors now…). Whatever it was, it forced me to take a few months off from yoga and when I started practicing again (only because I had teacher training and already paid), I was very limited in what I was able to do. And you know what showed up while I dealt with my injury (or was made more apparent, rather)? Ego. I was forced to modify already simple poses; I couldn’t do Chaturanga (which I previously powered through); I took child’s pose more than I ever had before — I couldn’t even hold downward facing dog for very long (which is pretty essential for a vinyasa yogi). I realized how attached I had become to being an “advanced” yogi — one who didn’t rest and went for the hardest expression of every pose. I would worry if people thought I was a slacker in class or being lazy (although, I’ve never thought that about anyone else in class, so not sure where I got that idea from). It wasn’t as bad during my teacher training — I didn’t know anyone before coming so it wasn’t weird for me to be modify. But at my home studio where the classes are smaller and people know that I’m the one usually popping up into a headstand or two throughout the class, I felt a little more awkward. I felt like I had set a bar for myself and could no longer live up to it. Breaking off that ego has been hard, but I’ve come so far in it. Now, even though I could go farther into some poses, I am much better at listening to my body. 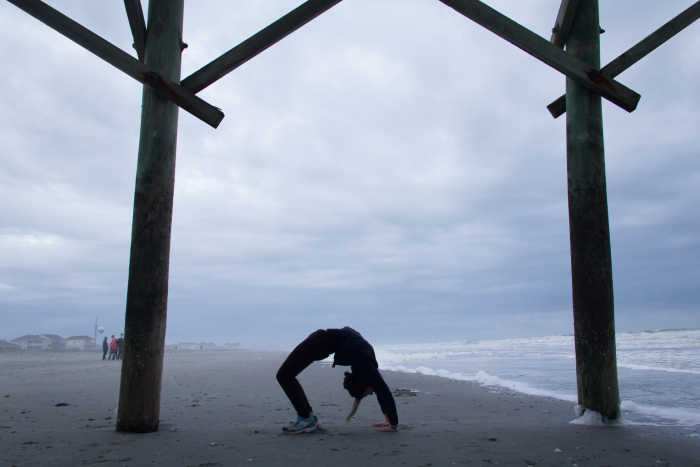 Sure, yoga can be great to rehabilitate injuries, but it can also cause injuries. Until I went to teacher training, I didn’t realize how many yoga poses I had been doing wrong. And the more I learned about the poses and anatomy, the more I began to understand why I was having different physical issues (most notably, pain in my low back). If you are in a class with me now, my forward folds look very different than they did a year ago. I don’t try to go as “deep” into folds — and a lot of my back pain has vanished! “Stop when you feel rounding in your lower back” has become a constant refrain if you come to any of my classes 😉. Even as a yoga teacher who’s had to restrict her practice because of injuries and who has learned how to listen to her body by not push into poses too deeply, I still struggle with living up to the “advanced yogi” bar that I’ve set for myself. Just the other day, I was in a yoga class as a student, and we were coming into a seated forward fold. I’ve backed off a lot on my forward folds to avoid compressing my low back (which causes back pain for me). In this class, however, I was just doing my own thing in my forward fold, and the teacher came by and offered my a block to put behind my feet so I could stretch deeper. Before I even realized the words were coming out of my mouth, I said “sure” (as my mind was screaming “no”). I took the block and went deeper into the fold. Not that this one time caused an injury, but I was surprised at how quickly I let my fear of man and ego take over. It’s a constant battle to let go of my ego and not worry about what other’s think or about my own pride. But as I deeper into my practice, it gets a little easier. Hmm I’ve encountered many of the same challenges with my practice. Yoga can be such a delicate practice of moving deeper into a pose and pausing and staying where you are depending on the day and moment. I love so many things about yoga but maybe that necessity to listen to my ody that it helped me develop and not to get caught up in the art of comparison of myself or others may be one of my most favorite lessons.